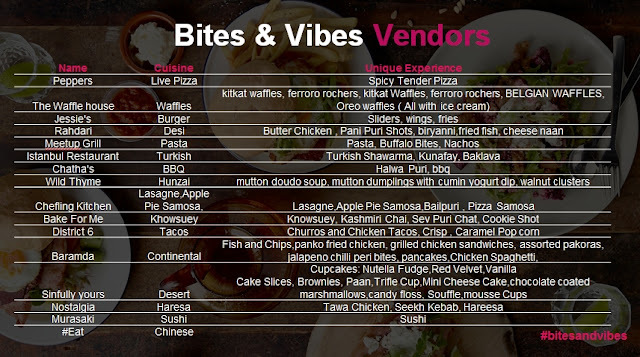 Bites and Vibes: The Coolest Food Market is coming to Islamabad...!!! 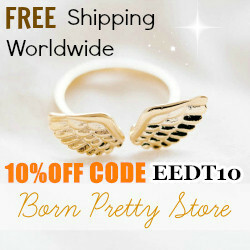 Hope you are doing great and enjoying your days to the fullest. 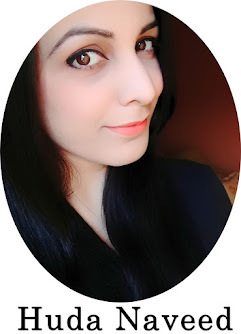 Today I am sharing a really exciting news for all the foodies from Islamabad. The good news is foodpanda is bringing Bites and Vibes, Pakistan's coolest food market, finally to Islamabad. 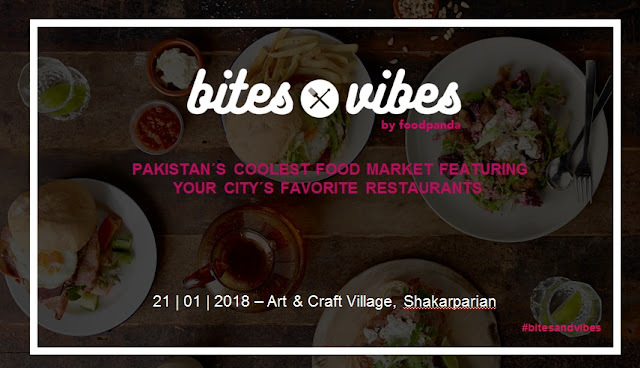 The Bites and Vibes event will be taking place in Islamabad on Sunday, January 21st, 2018 from 10:30 AM to 10:00 PM for a whole day of food, fun and fantastic tunes at Art and Craft Village, Shakarparian. The entry ticket for Bites and Vibes is for Rs 200 only. There will be a huge variety of delicious food at the event including live delicious sliders from Jessie's, pizza station by Peppers, fun pani puri shots from Rahdari, delish chocolate waffles from The Waffle House F-7 Markaz, mouth-watering halwa puri from Chattha's, scrumptious mutton dumplings with cumin-yoghurt dip from Wild Thyme - Hunza Cuisine & Marketplace, chocolate-coated marshmallows & mousse cups from Sinfully Yours, baklava from Istanbul Restaurant and and many more signature dishes. Not to forget, 7UP will be serving free chilled margaritas at Bites and Vibes in Islamabad to make your food experience a little more special. There will be a DJ at Bites and Vibes event to give you good vibes with his lively tones all day long and soulful performances by Sakin and Khamaj Band. There will also be a special kids area for fun activities for kids including token ride, jumping castle, face painting and much more. All this and much more will be happening at one place that is Art and Craft Village, Shakarparian, Islamabad on 21st of January. 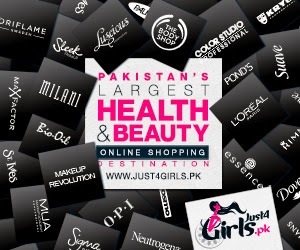 I am super excited for the Bites and Vibes event taking place in Islamabad this Sunday and I hope everyone from Islamabad will be feeling the same.